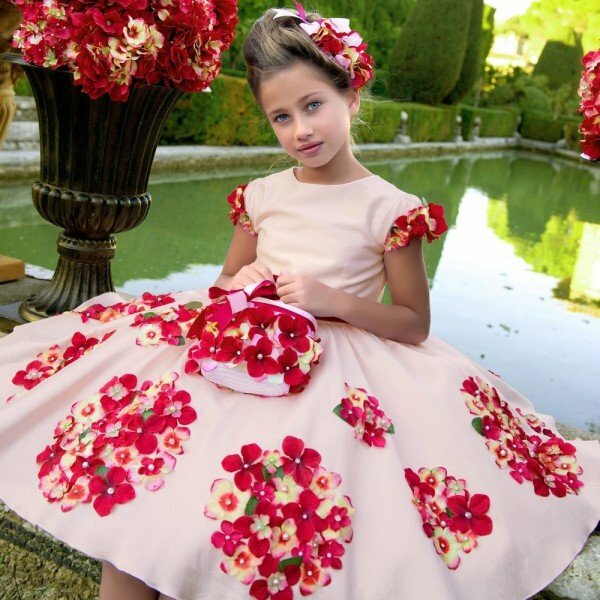 Your little girl will look like a royal princess wearing this LESY Girls White & Pink Lace Special Occasion Dress. This gorgeous luxurious dress features ripples of tulle and satin petticoats that bring volume to the full ballerina skirt, where gemstones and pearls twinkle as they catch the light. 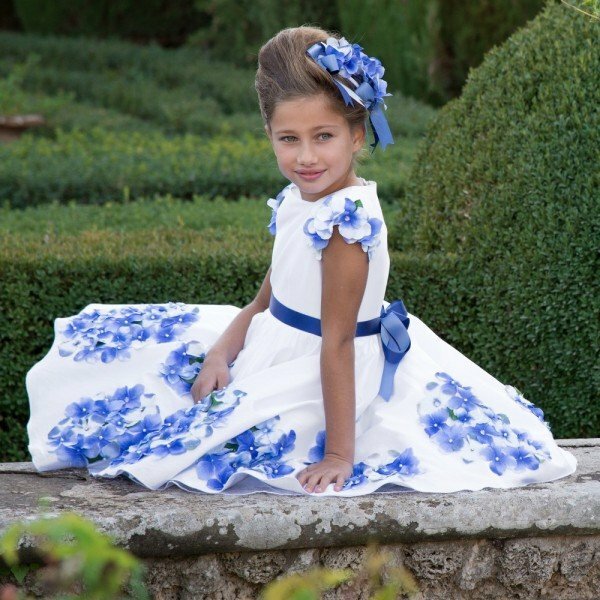 Designed in Italy and radiating Florentine luxury, this exquisite handmade dress by Lesy is perfect for any special occasion including a royal wedding. Complete the look with a matching prink and white headband and purse.